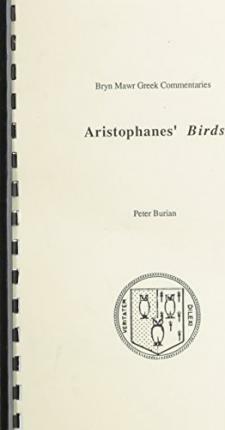 The Birds by Aristophanes Greek Classics 'The Birds' differs markedly from all the other Comedies of Aristophanes which have come down to us in subject and general conception. It is just an extravaganza pure and simple-a graceful, whimsical theme chosen expressly for the sake of the opportunities it afforded of bright, amusing dialogue, pleasing lyrical interludes, and charming displays of brilliant stage effects and pretty dresses. Unlike other plays of the same Author, there is here apparently no serious political MOTIF underlying the surface burlesque and buffoonery.